Joanna Hope Satin Pyjama Set is rated 5.0 out of 5 by 1. This beautiful Joanna Hope pyjama set features delicate embroidery detail, with lined cups and cross back adjustable straps in the cami. 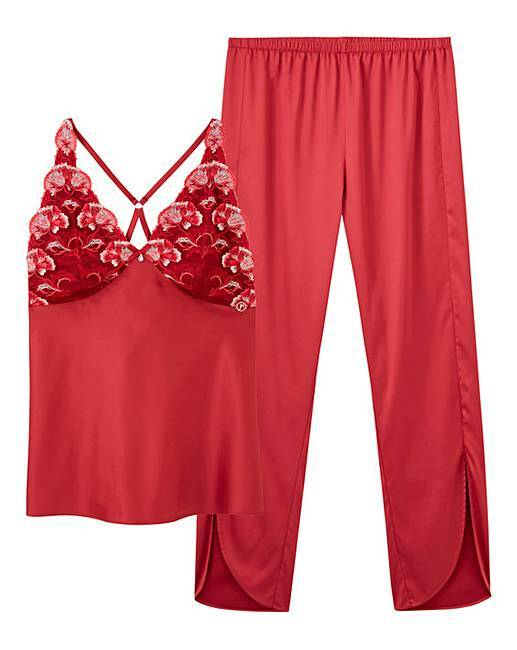 This glamorous pyjama set is perfect to pair with the matching lingerie. 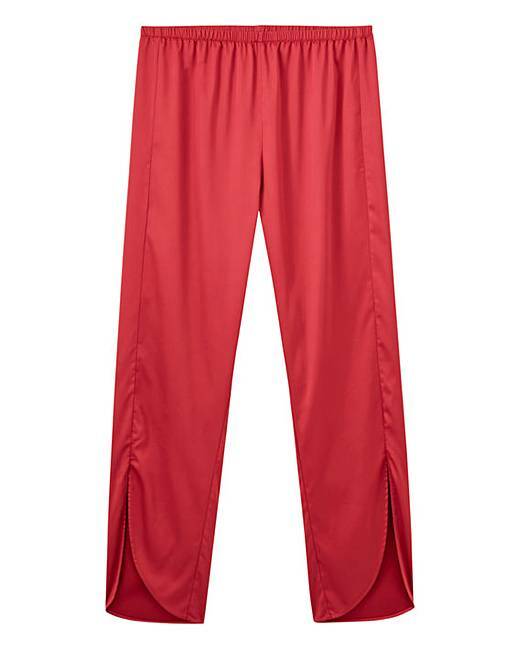 With side split detail to the trouser hem, this pyjama set will certainly get you noticed.